The 4th Moscow international light and multimedia festival �Circle of Light� will be held from 11th to 14th October, 2014 in Moscow, Russia. The festival will include a selection of works from the international call for works for the International Projection Mapping Art Vision Contest. The theme of the competition is "Light around the world". 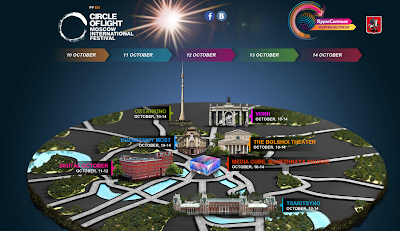 During the contest, mapping video design groups from all over the world will be able to fully demonstrate their vision of 3D mapping video projections. The Exhibition of Achievements of National Economy� or VDNH (http://www.vvcentre.ru/eng) will host the Art Vision 2014.